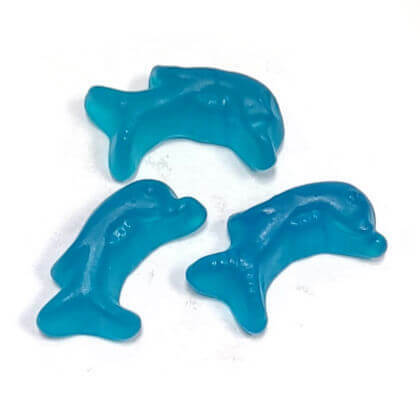 Gerrit Verburg imported blue gummi dolphins. Approx. 3.5 dolphins per ounce and 2.5 inches long.